The world of social media is full of incredible opportunities. Although many people tend to think of it as a platform for people to over-share personal stories and photos, it has plenty of perks outside of individual use. More and more companies are recognizing the ability they have to connect to all types of consumers through social media. Apps such as Facebook, Instagram, and Twitter provide your company with the power to reach your target audience, build your brand, and promote your business. If you’re wondering how to build your brand with social media, check out our guide below. This is the overarching force that will help you determine how to go about promoting your brand. A social media guide will push you to be consistent across all of the different platforms; 60% of U.S. millennials expect consistent experiences when they’re dealing with brands. What your company has to say, how it says it, and the photos and videos it showcases should be similar (if not the same) across all platforms. 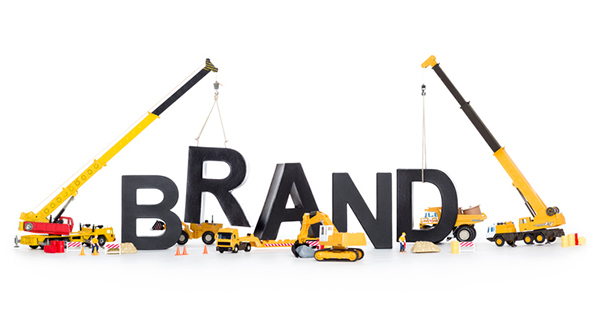 A successful logo is the anchor of your brand. It should represent the most important aspects of your brand. You need to think about color, versatility, size, and timelessness. Your logo will end up reaching across multiple different parts of your business, so make sure you’re proud of it. You need to be consistent with your brand’s tone and language throughout all posts. A style guide is used by publisher’s, but the practice can be implemented within your social media guide media posts. Use this guide as the go-to source for following a uniformed style and formatting across social media. People will recognize that your brand is consistently using the same voice - this acknowledgment will go a long way. It’s no surprise that consumers stray away from faceless corporations. ; nobody wants to interact or purchase from companies who use this strategy. If you want to create an emotional connection between your brand and the consumer then you have to humanize your content. Many popular brands portray themselves as “humans” online - they crack jokes with followers, share the latest memes, and write organic content that is easy to understand. As important as follower count is, you don’t want your brand relying on it. You need to foster relationships and create open lines of communications with these followers if you want to see any sort of success of social media. Consumers are less likely to view your brand in a positive light if you don’t show them that you care about what they have to say. People want to trust a brand, so not only do you want to create humanized content, but your comments, tweets, and statuses all need to focus on making a connection with customers. If your brand makes a mistake, own up to it. Transparency is much more important than portraying your business in a positive light 24/7. This means sharing important information with your followers, such as future plans or apologize for mistakes you’ve made. This lets the customer know that your brand is open, honest, and human.